Insurance is a contract of indemnity – the policy document evidences the contract between the Insurer and Insured – upon receipt of consideration (full premium) – Insurer agrees (subject to insuring terms and conditions) to indemnity, if the property insured be damaged or destroyed by any of the perils insured against. In General Insurance products, the Sum Insured [the value for which the policy is taken] only represents the maximum outgo of an Insurer and does not guarantee any right for the policy holder to claim the maximum. The essence of insurance is the principle of indemnity, that the person who suffers a financial loss is placed in the same financial position after the loss as before the loss occurred. He neither profits nor is disadvantaged by the loss. In Life Insurance, this cannot be practiced as accurately as done in General branch. Here the indemnity or the payment gets limited to the amount of policy taken by the proposer. Now read back of that settlement in California. Newspaper reports suggest that after agreeing to a settlement with Andres Carrasco in June, Adriana’s Insurance decided to deliver the funds in the form of cons – in buckets and buckets of quarters, dimes, nickels and pennies. The coins amount to more than $21,000, Carrasco’s attorney is quoted as saying. 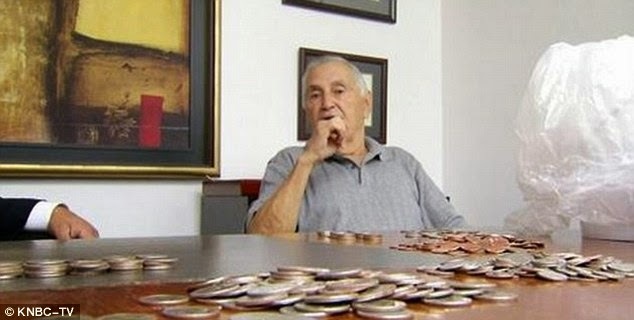 It is reported that when the time to pony up for the settlement came, eight of Adriana's Insurance employees arrived in a van with five-gallon containers full of coins in hand. The employees then went to Carrasco’s attorney’s office, dropped them off in waiting room and left. Carrasco had just had a hernia operation and wouldn’t be able to lift one of buckets, let alone the scores left by the company, his attorney said. "I am disappointed by the way Adriana's treats their customers and the elderly,” Carrasco said in the statement. "We might be poor, but we are people too." Officials with the insurance company did not respond to requests for comment. Reports further suggest that since the story broke online users have flooded the company's Yelp page with one-star reviews. 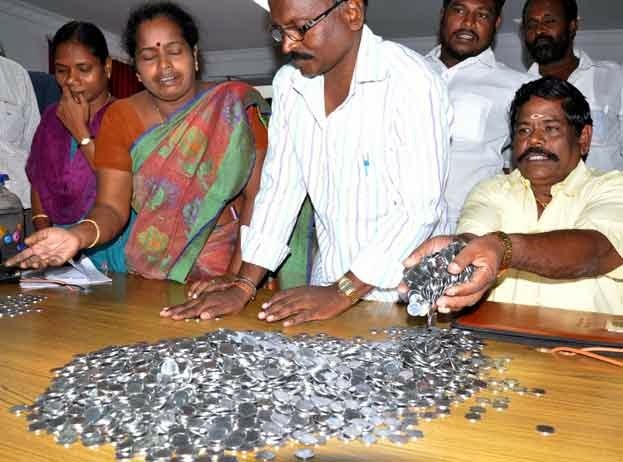 In India, every candidate is required to make a security deposit for contesting in the Elections - there are some who just for the sake of publicity try to pay the deposit with coins. Sometime back, Internet was ripe with a news : Apple was awarded more than $1bn (£632m) in damages after its rival smartphone and tablet manufacturer Samsung was found to have copied critical features of its iPhone and iPad. 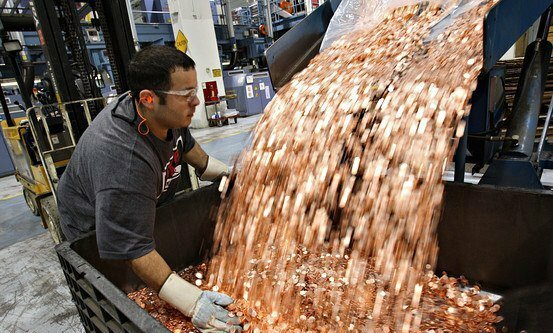 There were photos and news items that Samsung decided to pay it in coins and that more than 30 trucks filled with 5-cent coins arrived at Apple’s headquarters in California. A search on this revealed that this was entirely untrue……….Guardian ridiculed the news logically stating that trucks in picture were those on the A40 highway in London - that one needs 2,755 to carry a billion dollars in nickels. It further stated "A nickel weighs 5g. It would take 2,755 18-wheeler trucks (max legal tare 80,000 lbs) to carry the money."